After making its debut on iOS some months ago, Google Gboard is now starting to roll out to Android users. The update is coming to Google Keyboard which, along with the name change, comes with some outstanding features and customizations to the keyboard app. The update has just started rolling out to the Play Store so it will be a few days before everyone sees it. Once you do, you will see why all our iPhone friends have loved this app. 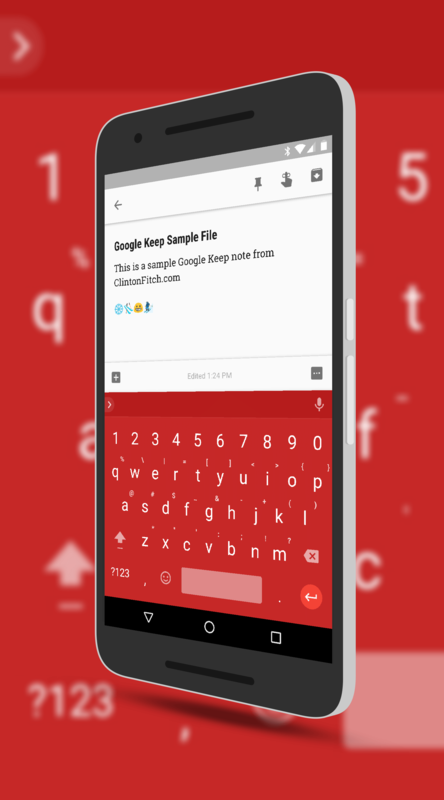 It has a GIF keyboard, emoji keyboard, Google search built in and is highly customizable with themes and other things to make your typing life easier. To be clear, the updated is version 6.0 for those keeping score at home but really, you’ll know you got it when you see Gboard as an update option in the Store app. access this, tap the arrow at the top of the keyboard to expand the options icon menu. Here you will find search, the ability to change the theme of your keyboard, one-handed operation and the full settings of Gboard. The themes in Google Gboard allow you to select a different color or even your own image as the background for the keyboard. You can also go into the settings and change the layout of the keyboard such as having the number row always visible and having long press enabled for symbols. True multi-lingual support is also in Gboard. Perhaps the banner item that everyone will like about Gboard is the new emoji and GIF keyboard. Now you can easily insert both and can search for both from the keyboard, making it faster and able to find that perfect GIF for your conversation. The update is just now hitting the Play Store so it may be a day or two before you actually see it on your devices. Once you do, give it a play. It’s pretty awesome!